Small towns offer high quality of life and a strong sense of the worth of every resident in the community, but a place with a small population has a hard time supporting a broad range of goods and services. Economic challenges are magnified in a small town, where even a smattering of home repossessions and business failures affect nearly everyone. The key to success in building a healthy business community in a small town is to create an economic development plan that maximizes the community’s strengths and minimizes its weaknesses. It is vital that the bulk of the populace is included in planning and execution. Do a SWOT analysis of your town to identify its strengths, weaknesses, opportunities and threats. Strengths might include local history or outdoor recreation that would draw visitors, or it could be a large farming community that could package and brand its own products. Weaknesses could be a town’s remoteness – though that could also be a strength – or lack of broadband access for e-commerce. Threats would include anything that looks like it will hurt an economic sector, such as an oversized development that would hurt visitor trade or a state plan to control costs by cutting maintenance on an important local road. Bring the community together to form a vision and set goals for local economic improvement. Include as many community members as you can to ensure that goals are shared and supported by the majority. Share your SWOT analysis and listen closely to how people see the community and what businesses they would like to see grow there. Make sure the local newspaper editor or publisher is involved in the effort, or at least kept apprised of developments, so that a steady stream of information keeps everyone in town in the loop. Most newspapers will support economic development, not only for the benefit of the town, but also for the advertising revenues that will follow the arrival of new businesses. Form a core group of leaders to keep the planning effort going. Leaders tend to reveal themselves in the course of community planning, by inclination and by the way other community members respond to them. These will be men and women who understand the community and local business challenges, and who can be trusted to be faithful to the community’s wishes. Leaders who ignore the community in favor of their own agendas will hurt this effort. Create a plan to present to the community. Make sure it reflects a bit of something that everyone wanted – it’s much better to give a little than to create opposition – and that it plays well to the community’s aspirations and strengths. At the same time, it may also need to be used to obtain supplemental funding for some types of projects, so it should be very complete, formal and literate. Plan sections should include a full analysis of local economic and social conditions, full discussion of goals identified by the community, and full discussion of the actions and initiatives planned to reach them. If you plan to participate in federal grant and funding programs, follow the federal guidelines and format for a Comprehensive Economic Development Strategy. Refine the plan based on community feedback and prepare to execute it. Create a chamber of commerce or encourage a regional chamber to start a local chapter. 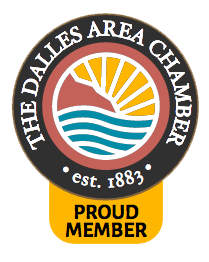 Chambers of commerce provide numerous benefits to local businesses, including a voice in government, group purchasing of health insurance and business products, public relations with the community and promotion of business participation in community charities. An active chamber is vital to small town business success. Set up a business facilitation office. A business facilitation expert assists locals to negotiate the challenges of creating a legal and potentially profitable enterprise, She teaches people such basics as how to do a business plan, set up books and get proper permits. The office can be funded through property taxes, grants or chamber of commerce membership revenues and provides services for free or for a nominal fee. Offer incentives to new businesses to locate in the community. These could include property tax breaks, micro-loans and discounted fees and permits. Other businesses in the community can also offer enticements, such as discounted ad rates and good press for the new business or special deals on gym or club memberships for employees of new businesses. Market the community and advertise business benefits to would-be business owners. Appoint a person, or persons, to drum up media stories about the community’s revitalization efforts and highlighting incentives, workforce and quality of life. Send out press releases to newspapers, radio and television to take advantage of space on any websites available, including the local and regional chambers of commerce, municipal and county pages and statewide business groups. Be sure to target publications that serve the economic sector you want to attract. Keep local business in the public eye by praising its contributions and update the economic development plan annually to move with the times and continue to serve the community’s needs.